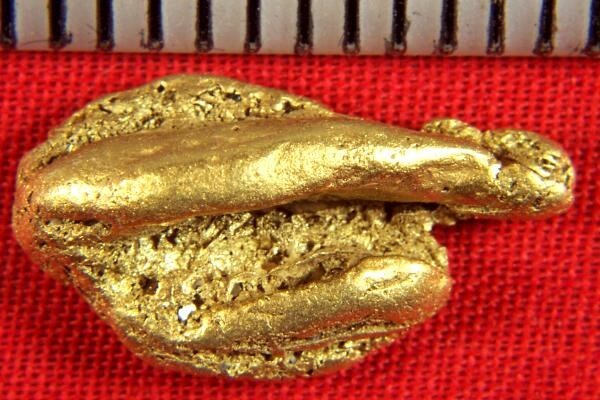 This rare Alaska Gold Nugget is a geological oddity. I am still trying to figure out how the smooth elongated natural structures were formed. Possibly by glacier action. 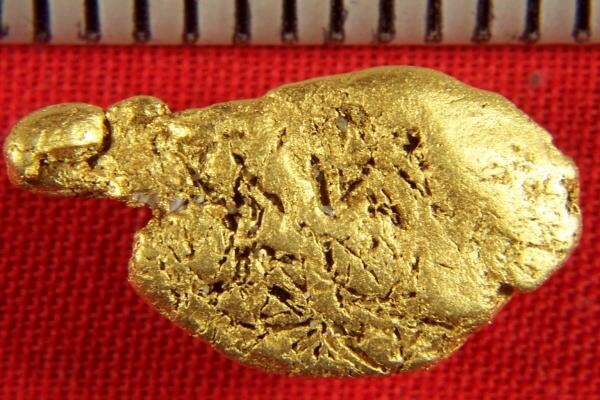 In any case I have never seen a gold nugget with unusual characteristics like this. It is 3/4" long and weights 4.0 Grams. It comes from Ganes Creek out of McGrath, Alaska. An incredible one-of-a-kind natural Alaskan gold nugget.